Previous PostCHANGES IN NEW JERSEY LIMITED LIABILITY COMPANY LAWNext PostRULES OF THUMB: DO THEY HAVE A PLACE IN BUSINESS VALUATION? 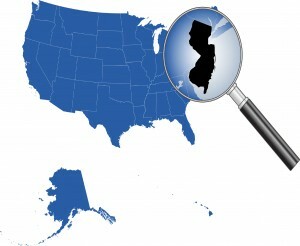 When a business starts to expand, it may naturally extend beyond New Jersey for customers. This may cause the business to develop “nexus” with another state. Nexus is a tax term meaning “taxable connection”. For both sales tax and business income tax purposes, each state has its own definition of nexus. However, there are some general concepts of nexus that come into play. The thresholds for sales tax nexus are not the same as income tax nexus. In addtion, whether your business consits of sales of goods or sales of services may affect nexus. For sales tax nexus purposes, the general rule has been “physical presence”. Physical presence generally exists if a business owns or leases offices in another state, solicits sales in that state through sales representatives, authorized agents, or distributors (even if they are not your employees), uses contractors or employees out of state to provide warranty services or repairs, or makes delivery out of state in company-owned trucks. In addition, certain states regard certain forms of advertising (such as billboards) as creating nexus within that state. If the business is determined to have sales tax nexus, they will have to collect and pay over sales taxes and file sales tax returns in that state. The controversy in the last few years with sales tax nexus is with internet sales. With internet sales, you may have no physical presence in a state, but you may have a lot of customers in that state. Historically, that would not give you sales tax nexus in that state. However, the Marketplace Fairness Act of 2013 will change that dramatically. This Act has already passed the U.S. Senate, although passage by the U.S House seems doubtful. However, if the Act is enacted, all internet sellers will have sales tax nexus in every state in which they have at least a certain dollar amount of sales in that state (probably $1 million). Assuming the Act is enacted quickly, the earliest that the states can enforce the new rules is April 2014. For income tax nexus, the threshold is clearer cut for those businesses who sell goods. Back in 1959, Public Law 86-272 was enacted by the U.S. Congress. P.L. 86-272 states that a state cannot impose an income tax on a business that merely solicits orders from out of state, where the orders are approved and shipped from the company’s in-state headquarters. However, be aware that a state can impose their corporate income tax in the state in which the business is incorporated, even if they have no activity in that state. Please note that P.L. 86-272 does not protect businesses that provide services out of state. For these types of businesses, if you have some physical presence in that state, you will most likely have income tax nexus in that state. If you receive a nexus questionnaire from a state other than your headquarters state, you need to review it very carefully before submitting it to that state’s Division of Taxation. Our office can help you with all of your nexus issues. If you have any questions about business tax nexus, please contact Andrew Ross, CPA at Bedard, Kurowicki & Co., CPA’s, PC at 908-782-7900 or visit www.bkc-cpa.com.